Our e-mail newsletter is suspended. 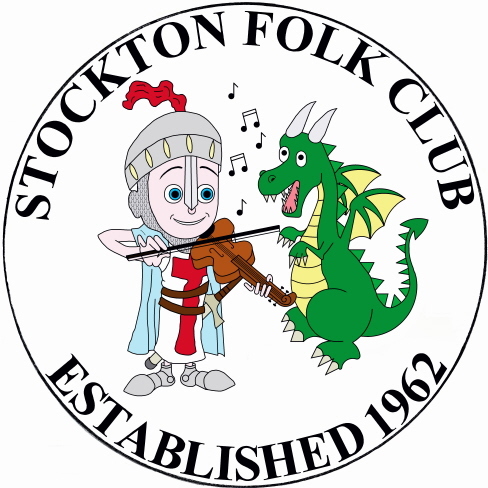 If you would like to receive possible future issues and communications about the Club, contact John L.
After 47 years in The Sun Inn we were sad to leave but alterations meant that our room was no longer acoustically isolated from the main bar. We had to find new premises in a hurry and are very happy with our new venue in the back room at the George & Dragon (the lounge bar). Feedback is very positive and the pub has made us more than welcome. We aim to have guest-nights twice a month (except in August): other Mondays are "singarounds" (see What's on). At a singaround everyone is encouraged to get up and sing, play a tune, recite, clog dance or do whatever they want to do, provided it falls under the wide umbrella of folk. But don't worry, nobody is coerced into getting up, and we have a healthy core of talented performers to ensure an entertaining night. On a guest night, floor spots are limited: if you are visiting and want to perform, catch the M.C. early -- you may still be restricted to one song! Entry costs are typically £7 on a guest night (£5 members); £1 on a singaround night. Come along and join in!